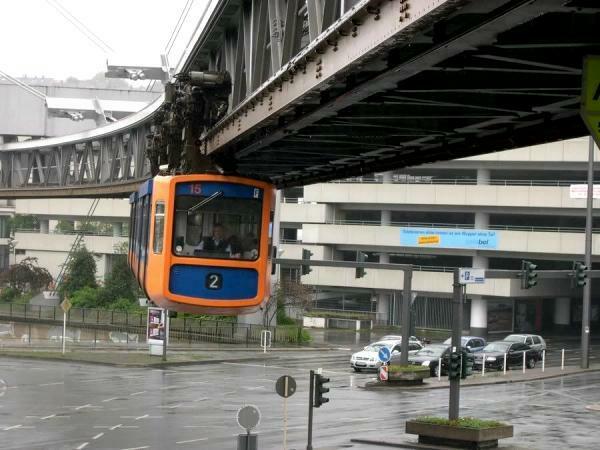 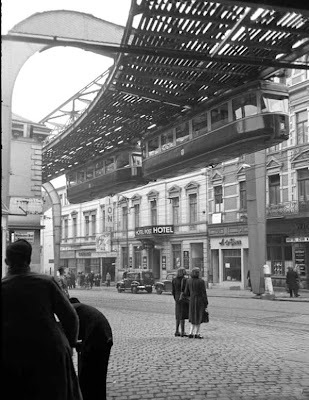 Wuppertal Schwebebahn is a suspended monorail in Wuppertal, Germany. 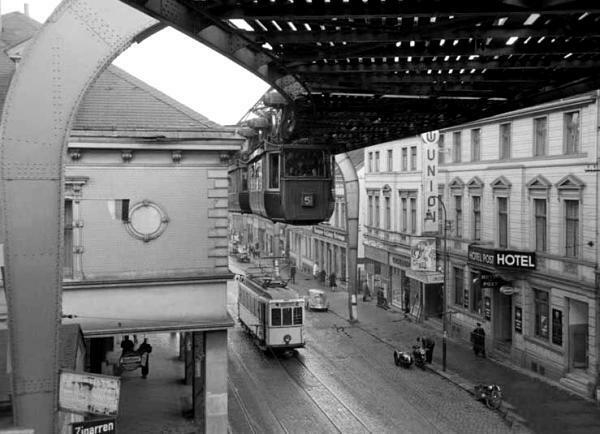 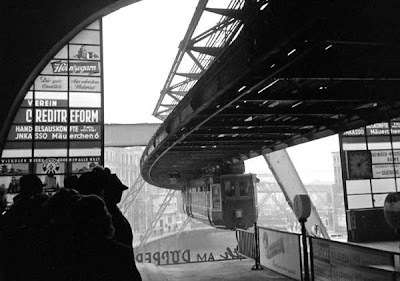 Its full name is the “Eugen Langen Monorail Suspension Railway.” Designed by Eugen Langen, who originally planned to build it in Berlin, it was built in 1900, opened in 1901 and is still in use today as a local transport system in the city. 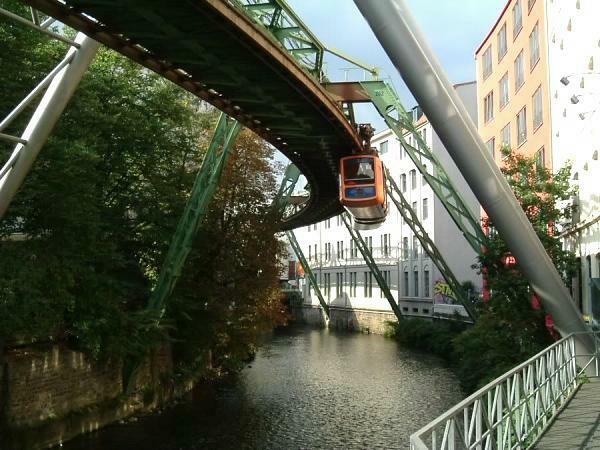 It is the oldest monorail system in the world. 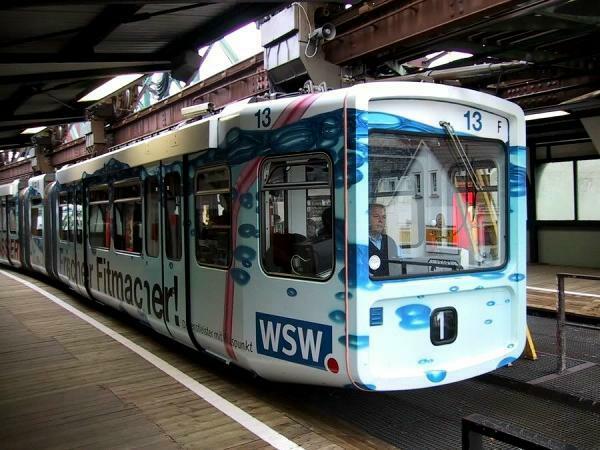 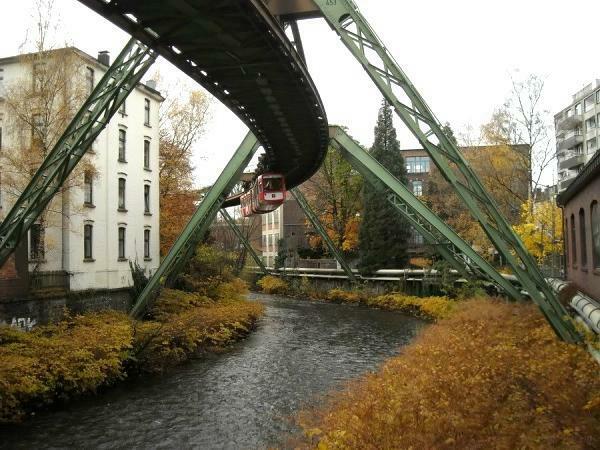 The suspension railway travels along a route 13.3 kilometres long, about 12 metres (39 ft 4 in) above the surface of the river Wupper between Oberbarmen and Sonnborner (10 km) and approximately 8 m above the city streets, between Sonnborner and Vohwinkel (3.3 km). 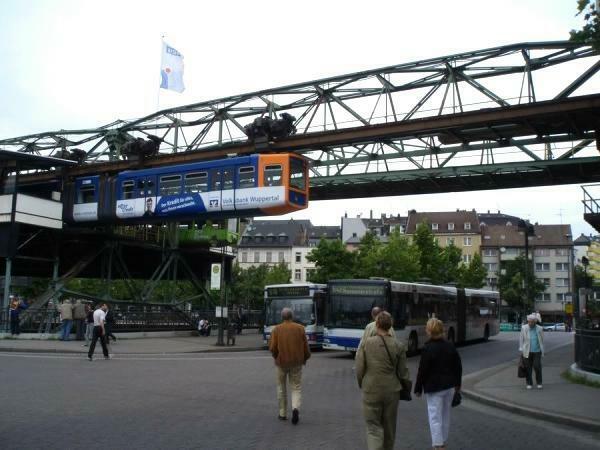 At one point the railway crosses the A46 motorway. The entire trip takes about 30 minutes. 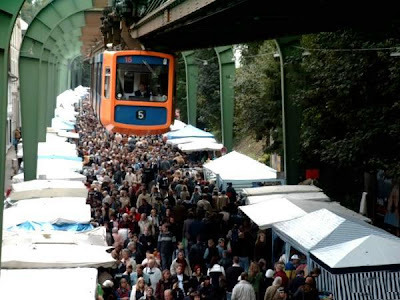 The Schwebebahn transports 25 million passengers annually (2008).